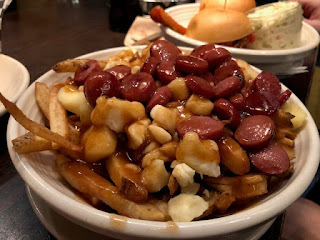 At La Belle et La Boeuf, I tried Nuclear Burger, B&B Kool-Aid Fried Pickles, Poutine Classic and Poutine Hotdog. 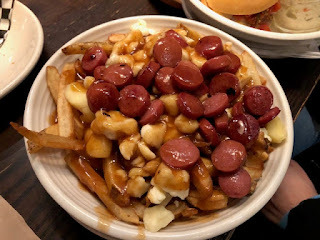 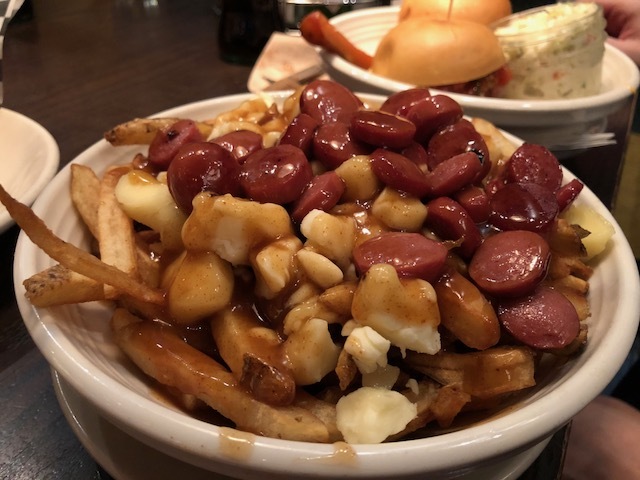 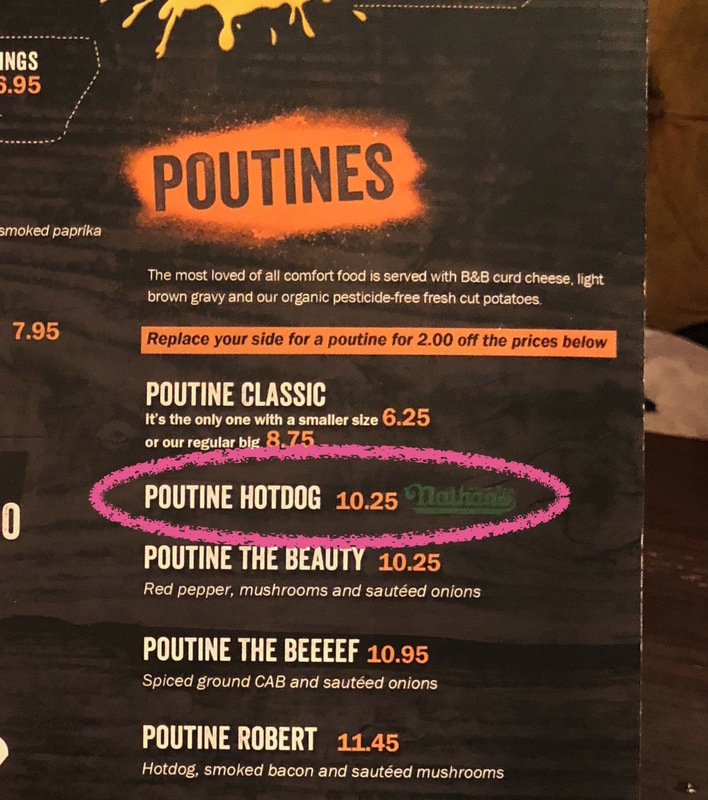 It's a Poutine Classic with sliced hotdog topping. 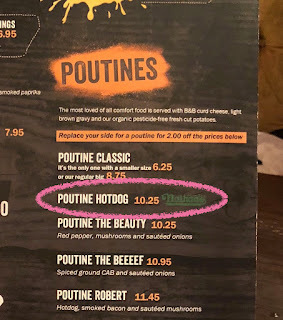 Though the menu said it's Nathan's hotdog, it's hard for me to believe it as they had some weird odor and chewiness that Nathan's hotdogs don't have as far as my experience and history of eating them.